Seduction, jealousy, deception - just another wedding day in Seville! Why See Arizona Opera - The Marriage of Figaro? Fiagaro is getting married...one way or another! 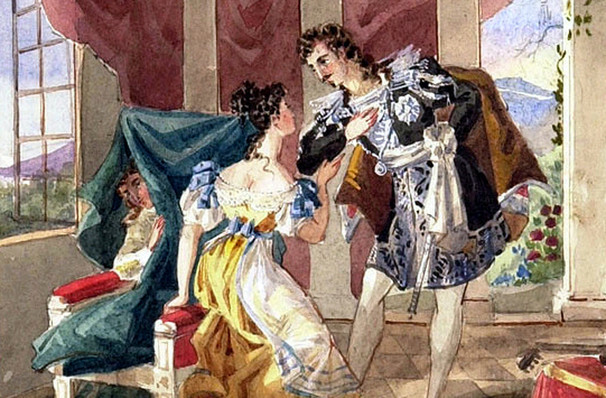 Figaro and Susanna are heading to the altar - much to the chagrin of Figaro's famously philandering master Count Almaviva. Although now married to Rosina, Almaviva decides its time to invoke his ancient right to the bride to be as her employer... Cue another madcap outing for Mozart's dizzyingly entertaining characters in his much-admired follow up to the Barber of Seville. Yielding a glorious score, with a sense of fun and a good few laugh-out-loud moments, The Marriage of Figaro highlights Mozart's genius that not only lies in his musical composition but his capacity to explore the human condition in each character's agendas, flaws and strengths, allowing the audience to catch glimpses of themselves. 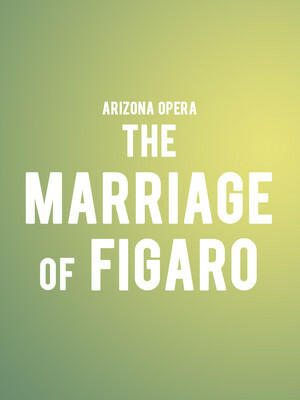 Seen Arizona Opera - The Marriage of Figaro? Loved it? Hated it? Sound good to you? Share this page on social media and let your friends know about Arizona Opera - The Marriage of Figaro at Phoenix Symphony Hall. Please note: The term Phoenix Symphony Hall and/or Arizona Opera - The Marriage of Figaro as well as all associated graphics, logos, and/or other trademarks, tradenames or copyrights are the property of the Phoenix Symphony Hall and/or Arizona Opera - The Marriage of Figaro and are used herein for factual descriptive purposes only. We are in no way associated with or authorized by the Phoenix Symphony Hall and/or Arizona Opera - The Marriage of Figaro and neither that entity nor any of its affiliates have licensed or endorsed us to sell tickets, goods and or services in conjunction with their events.